Ever since the emergence of telecommunications, laying cables over long distances has been fundamental to reaching remote audiences. In the 1850s, the first submarine cables carrying telegraphic traffic were laid, initially across the English Channel connecting the United Kingdom to the rest of Western Europe. Later, in the 1860s, cables were laid across the Atlantic Ocean connecting North America to Europe reducing communications time from ten days — the time it took a ship to sail across — to minutes, via telegraphic messaging. Today fibre optic cables carrying digital traffic as light-waves have replaced copper telegraphic cables of old, not just for submarine cable systems, but the majority of terrestrial systems as well. Global telecommunications carried on fibre optic submarine cable systems represent as much as 99% of all telecommunication traffic today, whereas satellite links carry less than 1% of global traffic. 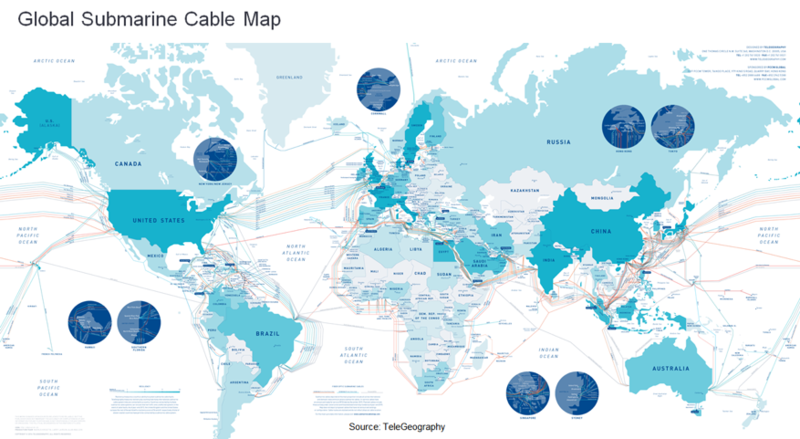 Figure 1 — Fibre optic submarine cable systems represent as much as 99% of all telecommunication traffic today (Image: TeleGeography). The copper telegraphic cables in the 1800s could carry as much as 10-12 words per minute — the equivalent of around 255-306 bits per second (on the basis that an average word consists of 5.1 alphabets, and each alphabet can be represented by 5 bits). Today’s trans-oceanic submarine cable systems can carry traffic in multi-terabits (multi-1012) per second — that’s a trillion-fold increase in traffic carrying capacity in roughly 200 years. Two of the most fundamental technologies that have enabled such phenomenal leaps in traffic carrying capacity are Dense Wave-Division Multiplexing (DWDM), and Coherent Optics. The former is a technique that uses multiple light wavelengths (colours) to send data over a single fibre optic cable, and the latter, a technique first introduced into the market in 2008 that uses modulation of the amplitude, phase and polarization of light to enable the transmission of considerably more information through fibre optic cables. When early digital telecommunication was made possible through computers and analogue modem technologies, manufacturers recognized transmission capacity limits were being reached where an increase in the transmission rate resulted in an intolerable number of errors in the data (even with error-correcting codes transmitted along the data stream). By the early 1980s, questions were being asked about the theoretical and practical data rates possible with any transmission medium. Technology developments such as Coherent Optics have allowed us to get closer to the theoretical Shannon limit than ever before. However, there are real-world challenges around the elements involved in a submarine cable system that limit how close it can get to the maximum channel capacity. Two common real-world examples of challenges include degradation of the fibre optic cable from repair-splicing after cable cuts and unpredictable varying non-linear impairments of long spans of fibre optic cables. Figure 2 — There are several financial challenges that limit how close we can get to the maximum channel capacity. Fortunately, Coherent Optics relies on digital signal processing integrated circuits that follow Moore’s Law in performance improvements. So over time, many of the practical limits can be gradually overcome through sheer processing power. Thus, submarine cable system upgrades year-on-year are expected to continue pushing Shannon’s limit closer to its ultimate theoretical limit. Read more about a recent demonstration of 400 gigabits per second speeds — the highest spectral efficiency per fibre pair ever achieved in a live environment — over one Australian ISP’s transmission network. Anup Changaroth is a Senior Director of Ciena’s APAC CTO Office & Strategic Business Development.